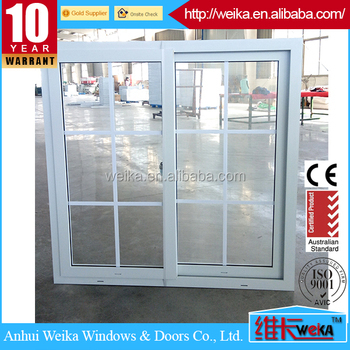 Series: 60mm, 65mm,80mm,88mm,95mm for PVC window. 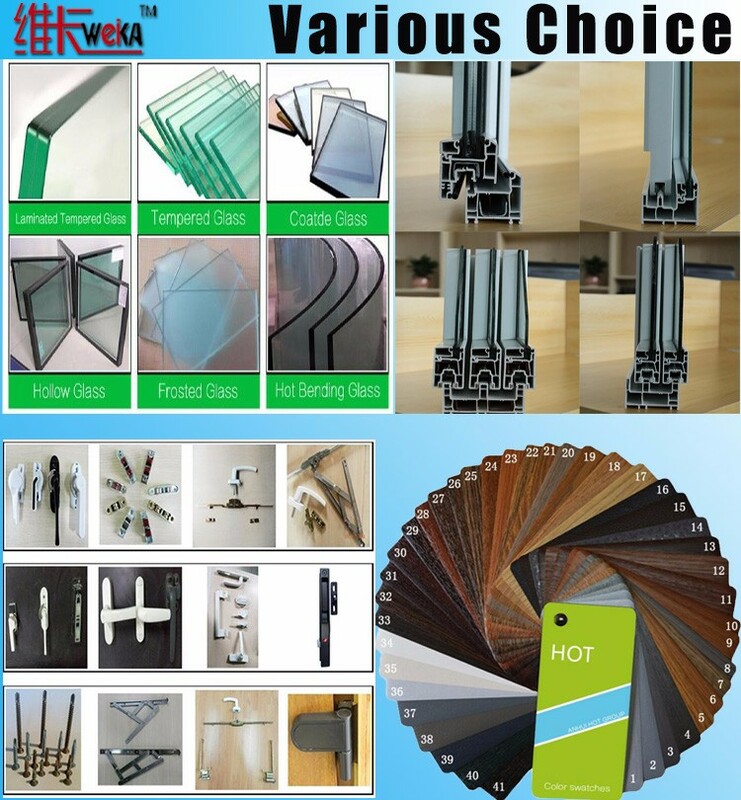 Any other glass thickness according to customer’s requirements. 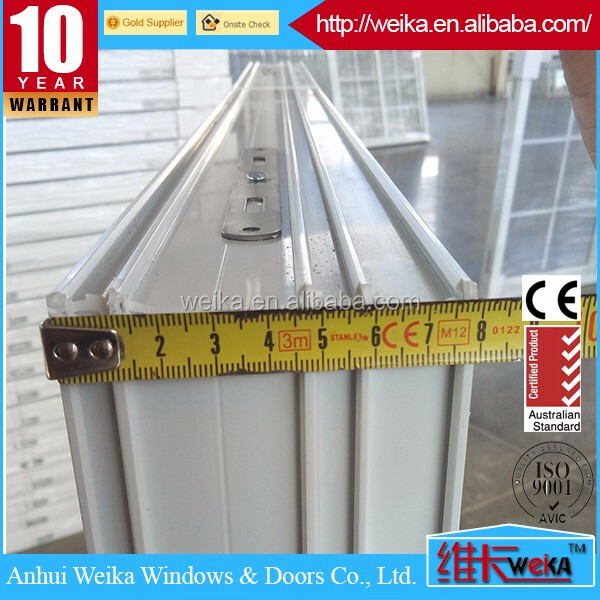 Hardware Handle, lock, sealing strip, friction hinge,etc. Customers' stipulated brands are available. 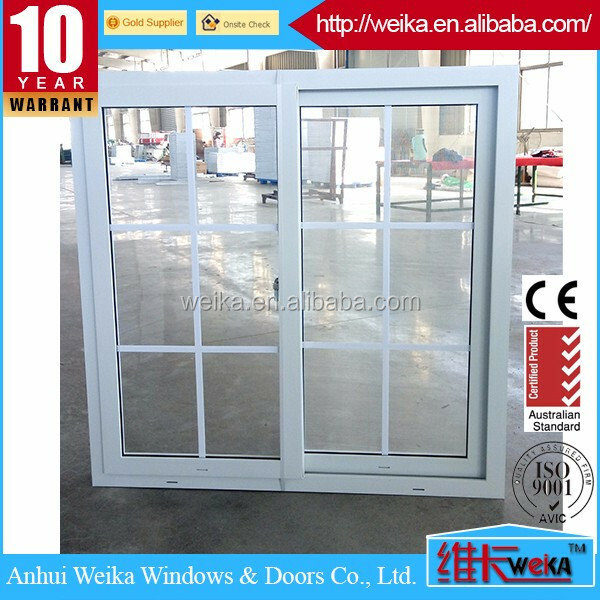 Are you bothering wih glass, profile, hardware? Pleae leave all these stuff to Weika. 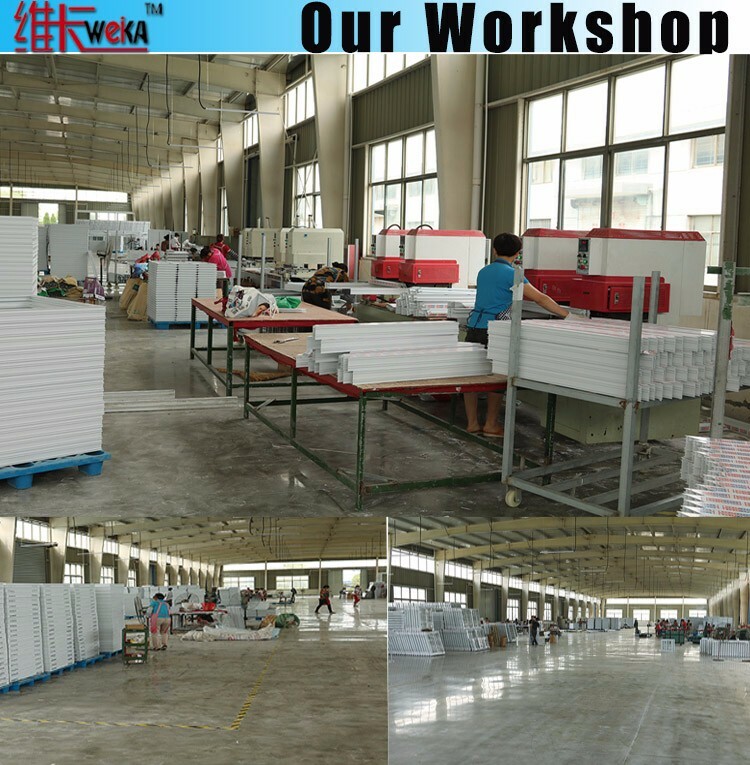 With 10 years designing and producing experience, we provide you with one stop service. 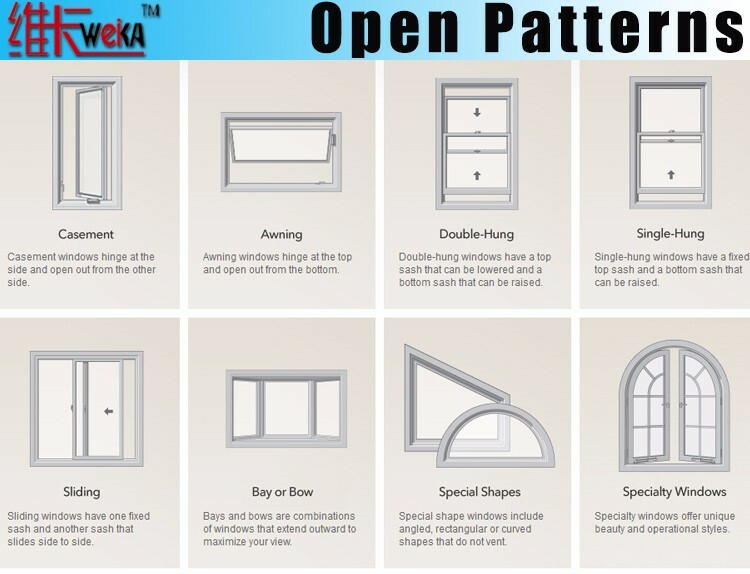 Just tell us your idea, we can make your desirable door and window. 7x24 hours serivice, our distance is just one call. 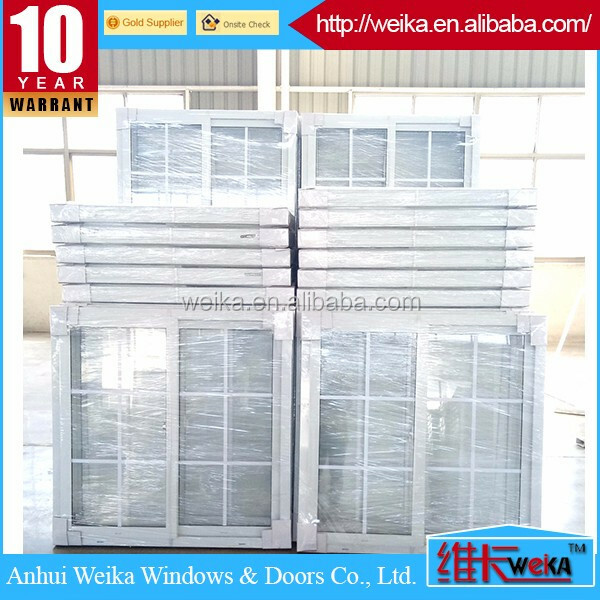 Any problem in installation and using, you will have our 100% good service. 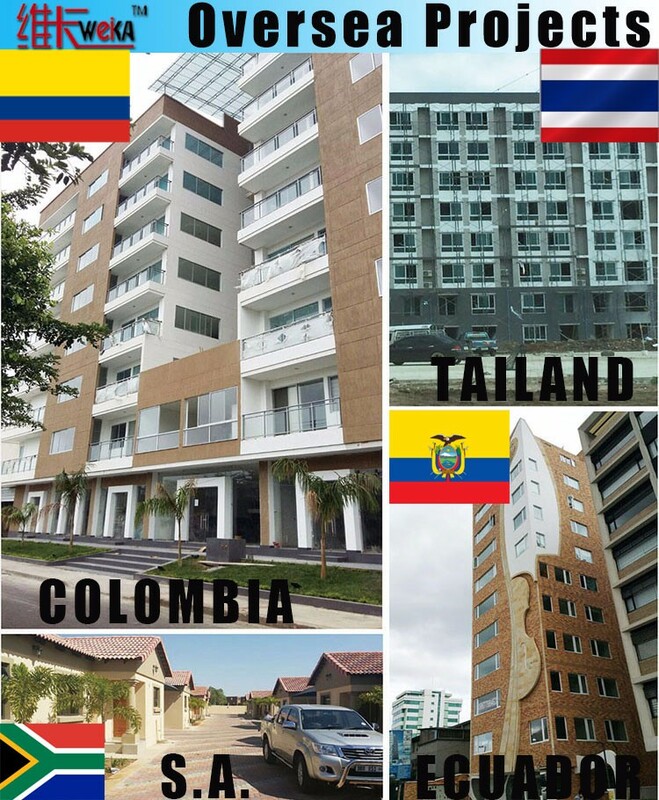 25-30 days after you paid the deposit and confirmed the drawings. 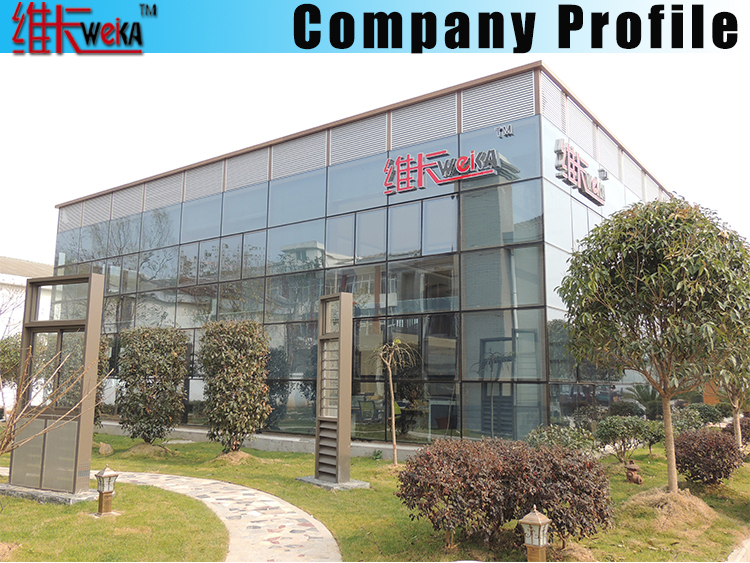 China brand UPVC ≥ 25 years, aluminum ≥ 25 years. 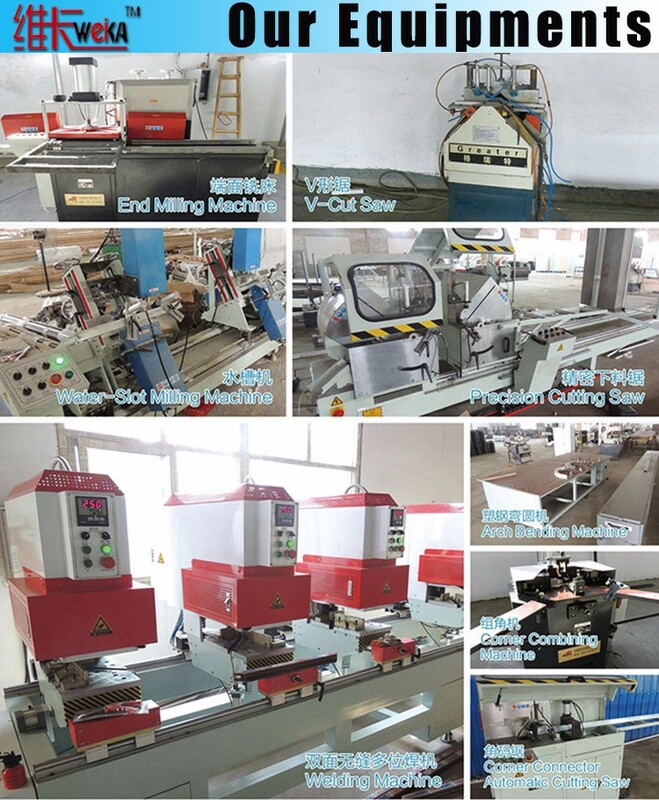 We are factory, you can get competitive price & faster delivery & the best quality. 2) How to buy the product? 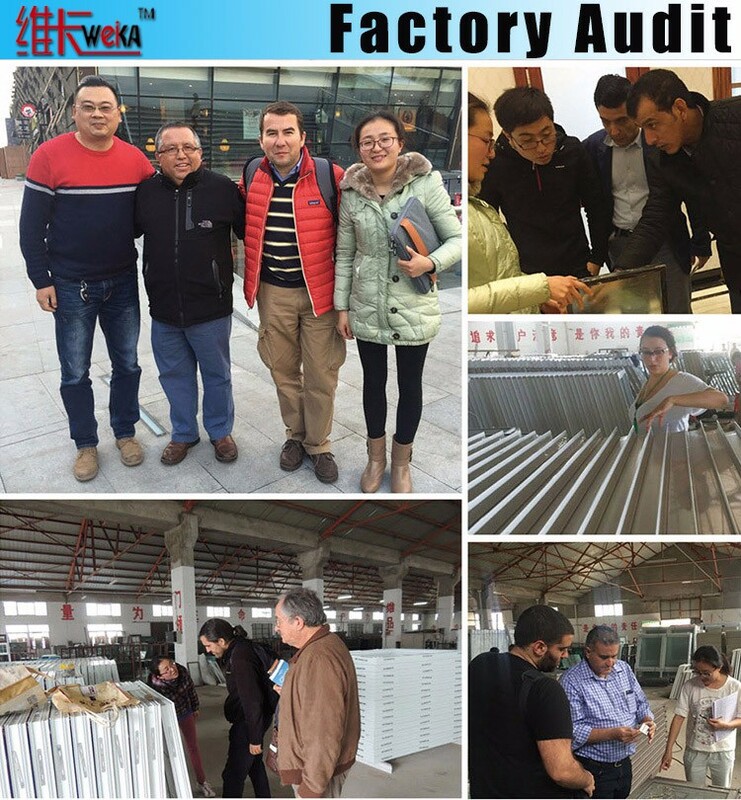 Contact with us buy email or by Trade Manager, and tell us the model you like or the style you like. We will contact you immediately. 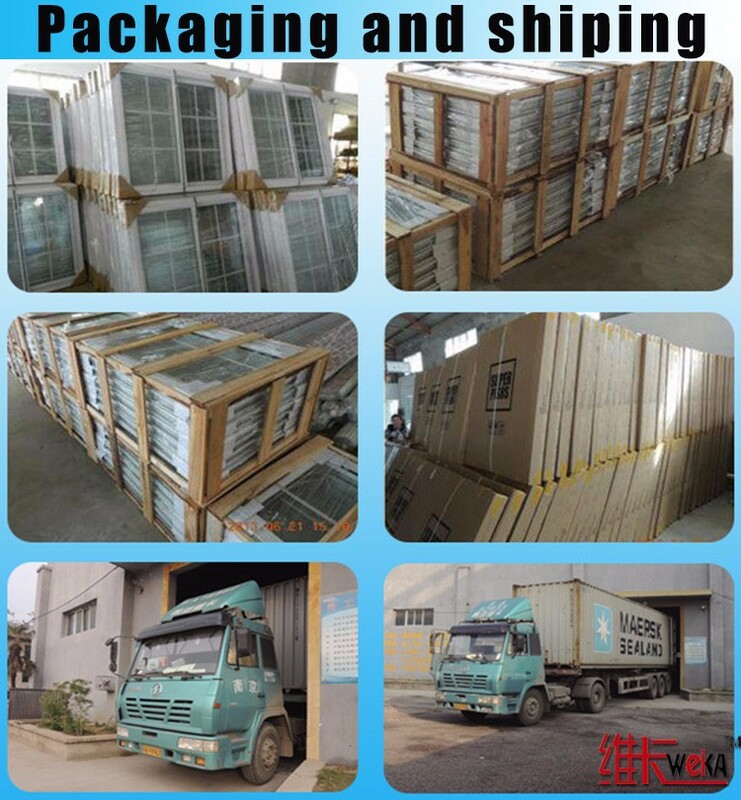 Express by sea, details about delivery time please contact us. 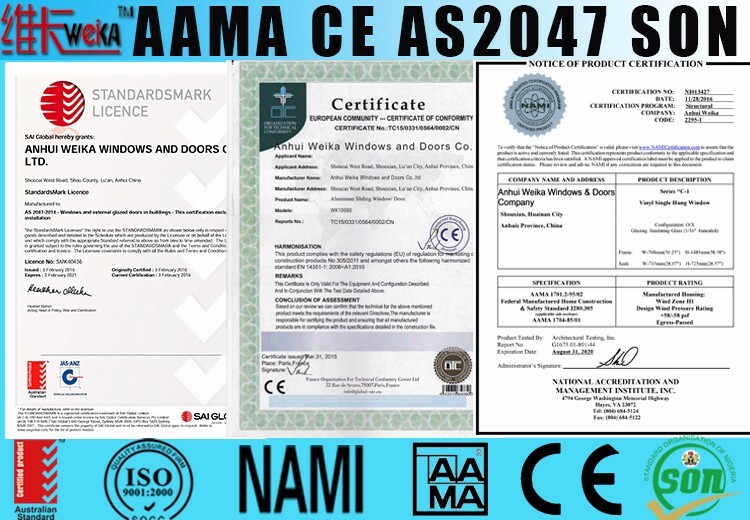 4) Can put Design and Logo on product? Yes, we have professional design service team, we can make any sample according to your design, and also can put your logo on product. 5) What's the payment term? 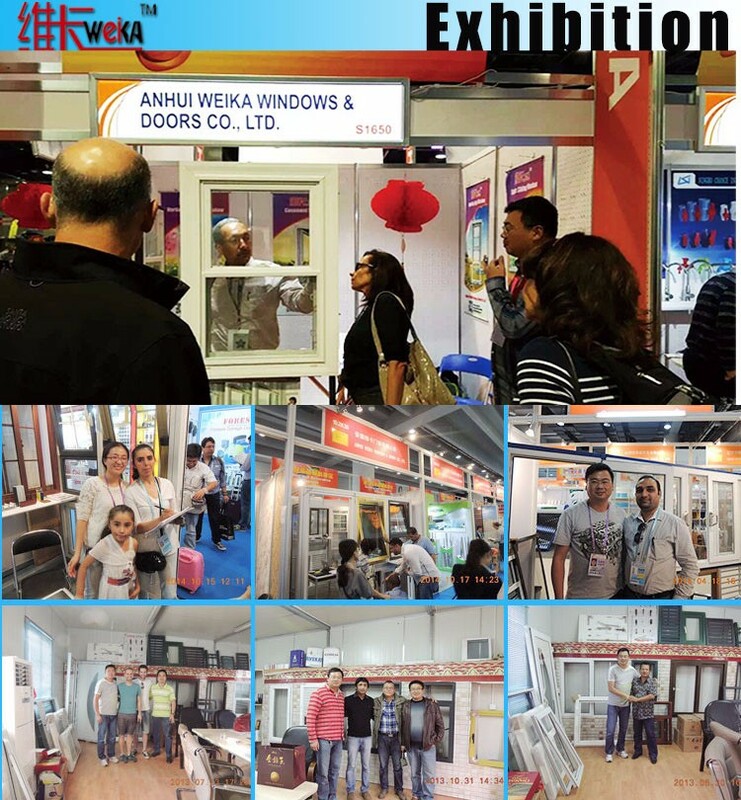 Anhui Weika Windows & Doors Co., Ltd.